The iGuide, a work product of the Notary Public Administrators Section of NASS, is offered to Notary Public commissioning authorities, and others involved in the eNotarization implementation process, as a tool for development of overall program objectives and related strategies. The iGuide is meant to facilitate decision-making affecting the implementation process, and contribute to more widespread enactment of electronic notarization. The NASS Standards provide a thoughtful blueprint for reliable and trusted technology-assisted notarial acts, while preserving the fundamental principles that have made notarization an essential element of document execution for centuries. The assurances provided by the fundamental tenets of traditional "paper" notarization are so important that most U.S. states actively enabling or allowing electronic notarization require strict adherence to them. 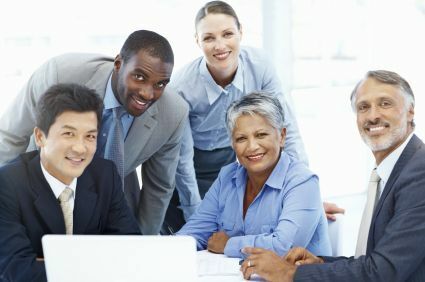 These tenets are strongly upheld and advanced by the National Electronic Notarization Standards, promulgated by the National Association of Secretaries of State. The revised Uniform Law on Notarial Acts, adopted by the Uniform Law Commission (www.uniformlaws.org) in 2010, advances electronic notarization by applying its provisions equally to both tangible (paper) and electronic records (documents). RULONA covers and applies to all notarizations of both tangible and electronic records, and harmonizes treatment of notarization of electronic records with the Uniform Electronic Transactions Act (1999), the federally enacted Electronic Signatures in Global and National Commerce Act (2000), and the Uniform Real Property Electronic Recording Act (last amended in 2005). RULONA allows a notarial officer to select one or more tamper evident technologies for the performance of notarial acts for electronic records. A notarial officer may not be required to use a technology other than one that they have selected. For notaries public, if the commissioning authority has set standards for technology, any technology that they select must conform to those guidelines. CLICK HERE to view The Revised Uniform Law on Notarial Acts. Note: In 2016, the Uniform Law Commission adopted a new (bracketed) section of the RULONA that will allow notaries public in enacting states to utilize audio/video communications technology to notarize for individuals located outside of the United States. Who Offers Electronic Notarization Solutions? The following entities provide electronic notarization solutions in use in various U.S. states. This is not an exhaustive list nor is it an endorsement of these entities or their product(s); it is provided for reference only. 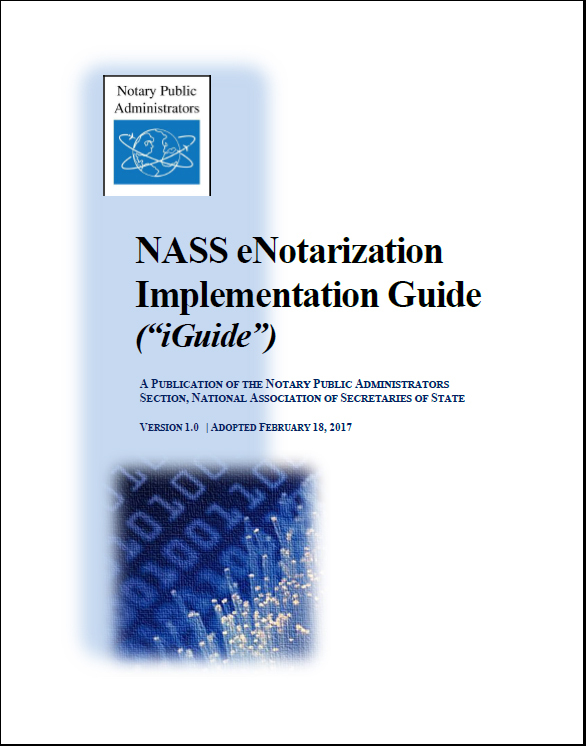 With the purpose of promoting secure and feasible implementation of electronic notarization, the National Association of Secretaries of State created standards for electronic notarization in 2006. These standards, reaffirmed in 2011, do not specify a particular technology. They are offered for voluntary adoption by each state. States may opt to adopt the full standards, or selected parts.